The GOTO proclamation will pass the control to a label unconditionally. The label must go before a PL/SQL piece or an executable articulation and should be exceptional in scope. While running the GOTO statement, the entire control will be passed to the label block or statements. A GOTO statement will not pass the control to exception handler. A GOTO statement will not pass the control from exception handler to the current block. A GOTO statement cannot pass the control out of a sub-program. A GOTO statement will not pass the control to a CASE statement, IF statement, Sub-block or Loop statement. Label => Identifies either a statement or a block. The above example describes the GOTO statement whether the given number is prime number or not. i.e,37 is a prime number or not. As 37 is prime number, the result will be displayed as prime. To develop stub sub-programs and place holders. To provide the readability and manageability of the data. To provide a target to the GOTO statement. To build awareness regarding the possibilities of the statement. Exception => Is a run time error. NULL => The value is assigned to zero. The below example illustrates the NULL statements. In the above example, the NULL STATEMENT will update the values of employees in the employee table. 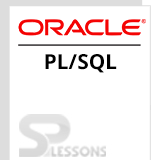 PLSQL Sequential Control – Is a technique to run the executable statements inside the program. Goto statements – Pass the control to a label unconditionally. Null statements – Pass the control to the next iteration after referring the current condition.